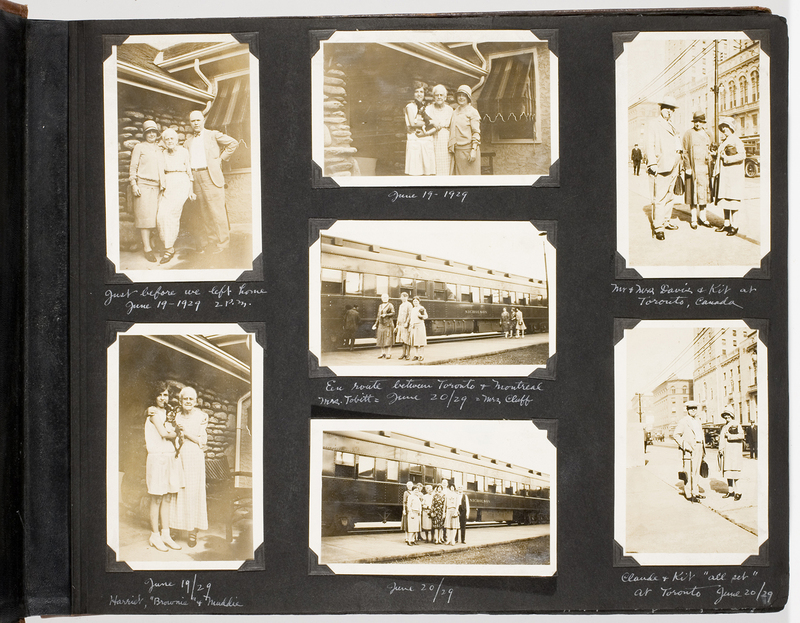 The first caption reads, “Just before we left home June 19, 1929”. And so begins the 67 page travel album that chronicles the summer adventures of Claude and Kit, a Toronto couple setting forth from Canada on a European vacation with friends that will take them to England, Wales, The Netherlands, Germany, Italy, Switzerland, and France before returning home August 26th. 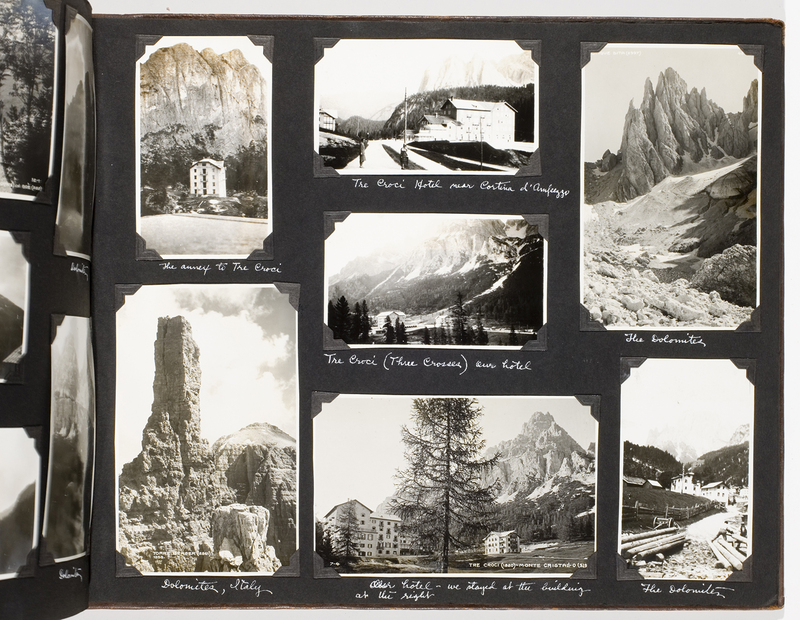 The album begins with photos of the couple in front of their home and with friends as if to anticipate the changes that will embrace them as a result of their travels; as if somehow they will be different and this difference will be proven with a photograph before and then again after their return. It becomes part of their narrative structure, a kind of ‘Once Upon a Time’ but in picture form. And from this point the story sets forth, taking them first to Montreal where they board the ocean liner R.M.S. Aurania. Four full pages are dedicated to the ship – its moorage, stock photos of the interiors, activities on deck where people gather to play shuffleboard and sit in the sea air to wait out the crossing. Then the story is punctuated. 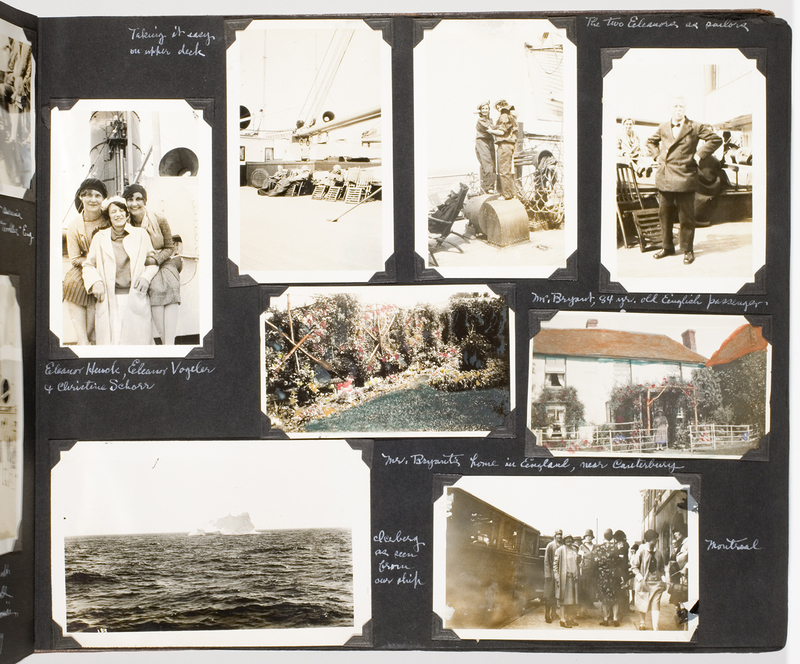 “Iceberg as seen from our ship” captions the photo inserted between the photos of the Aurania and the ones of them landing in Europe; its inclusion conjuring up what Claude and Kit may have been thinking upon its sighting. It had been seventeen years since the sinking of the Titanic and although the terror of that tragedy will have softened, to this day an iceberg in the north Atlantic remains an icon for that fateful voyage. Claude and Kit arrive in England July 1st, 1929 and after a short stay in London set off for an extensive schedule of historical highlights throughout the English countryside that include the Thames, The Lake District, Wordsworth’s grave, a multitude of Castles, Anne Hathaway’s cottage, Shakespeare’s birth and death place, Wales, Oxford, Canterbury, to name but a few, before setting off across the English Channel for the Netherlands. In the Netherlands they are charmed by the seaside, the canals, the architecture and the Dutch locals. The carefully annotated album of names and places also reveal a personal relationship to the American painter John Rettig (1855 – 1932). Rettig is seen here posing with Claude and Kit in front of his studio in Volendam where he has set up a second home to paint the Dutch people and countryside. 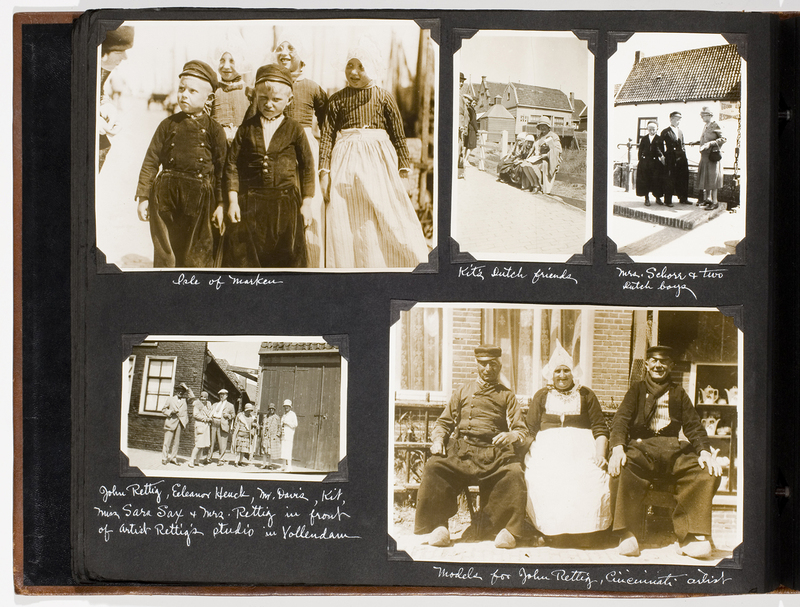 Incredibly, photos of his models are inserted here and show men and women dressed in traditional Dutch costumes. 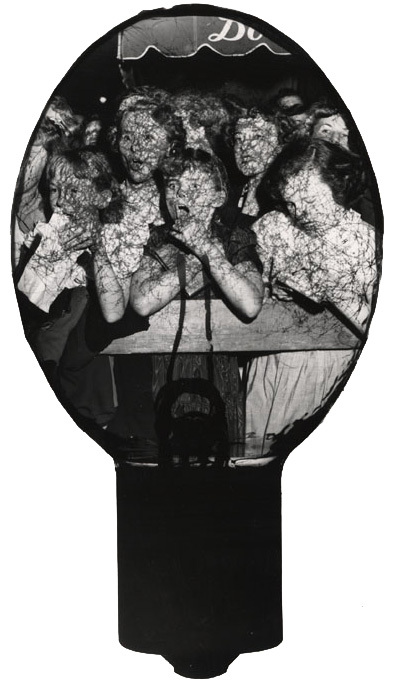 The caption reads, “Models for John Rettig, Cincinnati artist”. Claude and Kit continue on at an exhaustive pace to visit a multitude of cities in Germany, Italy, Switzerland and France, each time showing a ‘last image’ as they leave the country, “Our last view of England”, “Last of Holland” etc. Finally we see them, exhausted but happy, New York bound on the R.M.S. Carmania, destined to arrive home a day later in Toronto. This entry was posted in Fans in a Flashbulb and tagged Belgium, Canada Day, Dutch, England, Europe, France, Germany, Holland, iceberg, Italy, John Rettig, New York, photo album, RMS Aurania, RMS Caramania, Switzerland, The Netherlands, Titanic. Bookmark the permalink. Would love to see more of these photos. This is a romantic time in Europe, as The War is put out of mind. Might you post the whole album on Flickr or the like? I enjoyed your commentary, which also made me want to see more . . . . Eventually we will have everything online, but for now our blog helps you get at least a glimpse until then. Glad you liked the commentary and interpretation.